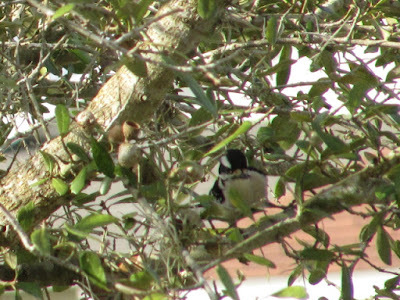 A small bird with black and white plumage and small, pointed bill, the males have a bright red patch on their head, while the females have a black patch. I am by no means a bird expert, but I am thinking our visitor is a female. The downy woodpecker is the smallest and most widespread woodpecker, its habitat is open woodlands, parks, and back yards. These birds do not migrate. 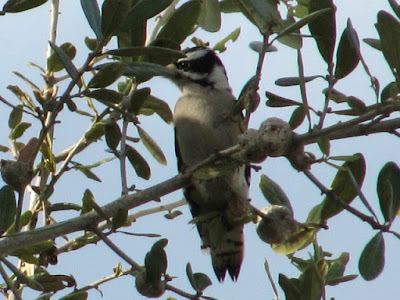 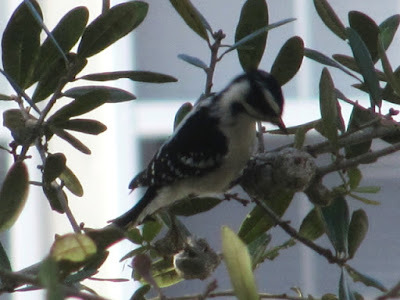 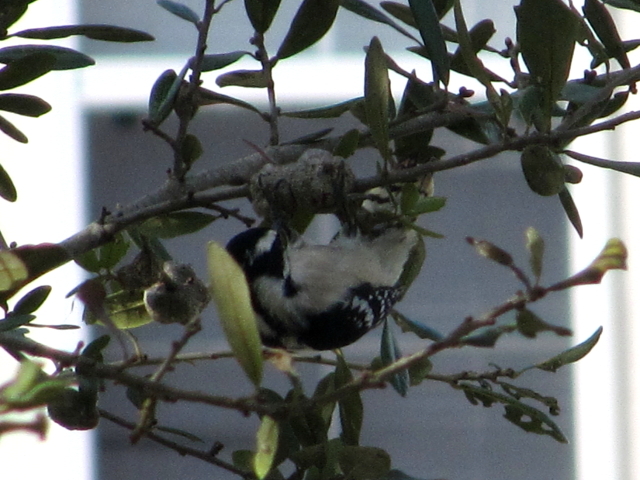 I watched this acrobatic little bird feasting on the large galls on our oak tree. 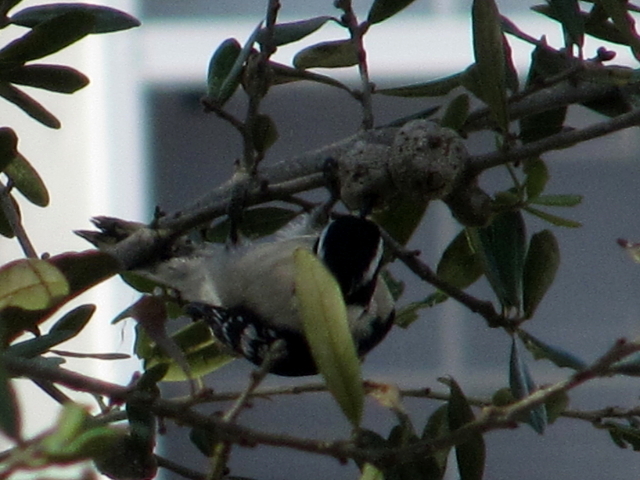 It uses the exit tube constructed by the larva to extract it. They readily visit feeders, preferring suet feeders, black sunflower seeds and peanuts. Also on their menu are fruits, seeds, tree sap and insects.